Soprano Aliese Hoesel enjoys a promising young career in both performing and pedagogy. In the summer of 2013, Ms. Hoesel made her debut as Flora (La Traviata ) with the Lyric Opera of the North under the baton of Dirk Meyer and director Dorothy Danner. She returned to the LOON chorus in 2014 as a chorus member in Don Pasquale and Carmen¸ both directed by Bob Neu. 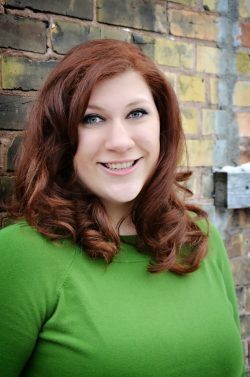 At the University of Minnesota Duluth, where she earned her Master in Music, Vocal Performance degree in 2014, she acted as the Assistant Director for their production of Haydn’s The World of the Moon, and was seen onstage as Rosalinde in Die Fledermaus. In their opera scenes program, she portrayed the roles of Der Marschallin (Der Rosenkavalier), Agathe (Der Freischütz) and Rosina (The Ghost of Versailles). At Simpson College, Ms. Hoesel sang the roles of Second Lady (The Magic Flute) and Lady Billows (Albert Herring) under the direction of Dr. Robert L. Larsen. She also covered Alice Ford (Falstaff) and Countess Almaviva (The Marriage of Figaro). Since 2011, she has maintained a private voice studio, teaching a range of musical styles and genres, and freelances regularly as an instructor of theatrical arts for children and young adults.